London, the world’s largest financial center and home to a whole host of prestigious names within the FX industry sets the scene for this year’s Forex Magnates London Summit, which opens its doors tomorrow for two full days of industry discussion, corporate networking, exhibitions and product showcases from the world’s top FX companies, and the annual award ceremony, presented by Forex Magnates’ CEO, Michael Greenberg. 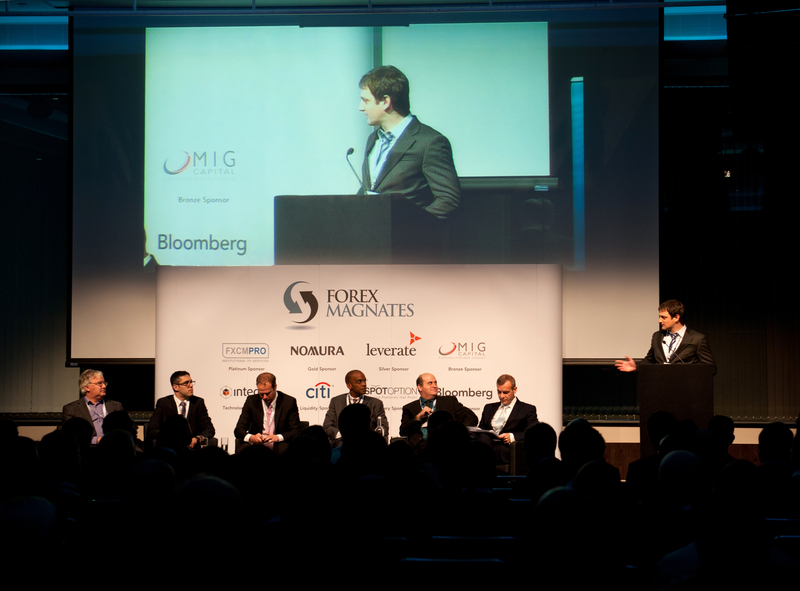 Forex Magnates will welcome 750 of the FX industry’s key figures tomorrow morning at one of the city of London’s most prestigious conference facilities, the Grange Hotel, St. Pauls. Registration at 9.00am will give way to a welcoming brunch at 11.00am, after which delegates will be able to engage in an entirely new method of networking during an innovative two-hour session. Under the name of Networking Blitz, those seeking to maximize their visibility will be able to benefit from this new, high- energy methodology in a room filled with dozens of branded compact high-tables with drinks, and conduct fast, high-energy discussions with the movers and shakers of the industry in order to discuss business with them. More activities during this session are to be expected and will serve as an exciting and valuable precursor to the Summit. The Cutting Edge – Where Are We Going? The world of electronic trading is one which makes constant technological advancements, with state-of-the-art systems continuously arriving on the market. The London Summit begins its agenda at 2.00pm, shortly after which the first discussion panel will commence, to discuss technological trends in FX with the world’s influential executives, namely Andrew Ralich, CEO of oneZero, Trevor Young, VP Product Management at OANDA, John Beckert, MD of e-Trading at First Derivatives, Harsha Bhat, CTO of State Street Global Exchange, Zakub Zablocki, MD at xFinancial Solutions, and Viral Tolat, CTO at EBS. Moderated by Forex Magnates’ Institutional Editor Adil Siddiqui, the future of the technology that drives us forward brings exclusive value to delegates. Financial technology provider Leverate grabs the baton at 3.30pm, with Yosef Kaplan, the company’s VP of Sales set to provide his view on a forecast for technology trends which we are likely to see in the year ahead. As daytime gives way to evening, delegates will be able to take a relaxed stroll through the exhibition, taking in the displays presented by companies representing all aspects of the FX industry, from liquidity provision to brokerage, and from analytical tool developers to large multinational banks. Drinks and socializing will be very much part of this laid-back event which concludes the inaugural activities of the Summit. Day two is set to commence on Tuesday, with delegates making a bright and early start at 8.00am for coffee and registration, followed by the 10.30am discussion panel centered on the challenges faced by participants in high-frequency trading (HFT). John Howard, Editor of Automated Trader Magazine will moderate a one hour discussion during which five highly experienced and respected innovators and HFT participants and consultants will discuss the comparison between the Equities and FX markets from an FX perspective. The key differences between the two will be examined in detail along with what kinds of FX-specific challenges exist both for HFT firms and for the wider market. Panelists will be asked about market data, co-location, use of FIX, low-latency connectivity between venues, news feeds/algorithms, currency-specific strategies and more. Tuesday’s lunch will be followed by coffee and desserts, after which delegates will begin an afternoon of discussion surrounding many aspects of the institutional FX sector, an appropriate industry segment within which many firms call London home. The buy and sell-side contenders in the FX marketplace will be discussed as the afternoon’s first panel subject, weighing up the execution requirements and desires of the buy-side with what the sell-side is prepared to offer. tradable’s Jannick Malling With Award. Where the sell-side has been lacking in accommodating the needs of the buy-side will be examined, along with how much of the cost burden of technological changes and those caused by regulation have been taken on by the sell-side, and how much by the buy-side and what the future holds. How to efficiently execute FX will be discussed at 4.00pm, involving the senior management figures of some of the world’s largest FX firms, moderated by Boston Prime Managing Director Mitch Eaglstein, followed by the highly popular elevator pitch. Back by popular demand, the energetic and fast-paced Forex Magnates’ Elevator Pitch is set to commence at 5.00pm, sponsored by last year’s winner, tradable. Innovators within all sectors of the FX industry will each have a two minute session in which to explain and demonstrate their advancement to financial technology, competing against each other to win an award for the most innovative financial product. One hour later, the annual award ceremony will conclude the Summit, followed by an open bar at 7.30pm sponsored by Saxo Bank. 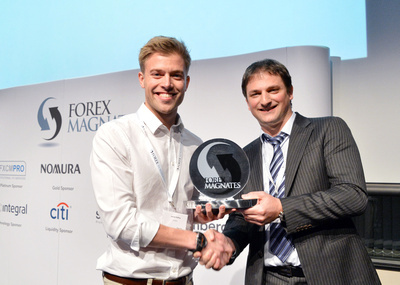 Forex Magnates looks forward to welcoming all delegates to this year’s event. Sounds like a nice list of panelists. Will you upload videos of the discussions again? P.S. you need to invite Bloomberg, they have the hottest sales girls. I second Andy’s question; the panel videos were awesome last year, and I’d love to see it happen again this year.